When David Jackson started construction on the high-end duplex in Washington Park a year ago, he knew the market was strong and the units would sell quickly. Just how quickly the "paired-home" development — where each unit was priced at just under $900,000 — surprised even Jackson, who has been building homes in the Denver area since the 1990s. That would be considerably faster than in a "normal" market when they likely would take 90 days to put under contract. "Even in a normal market, sales in Washington Park are always pretty brisk," Jackson said. Instead, both of the units at 611 S. Clarkson St. and 615 S. Clarkson St., with 2,877-square-feet of finished space and 1,000-square-foot unfinished basements, were under contract in less than two weeks after hitting the market. The buyers, one downsizing from a big home in Cherry Hills Village, and the other moving from Miami, closed on the homes last month. There was a good reason why they sold so fast. "I had never seen the available inventory go to zero before in Wash Park," Jackson said. He thinks they may have even been able to sell them for more than $900,000 each, given that 200 to 250 people attended the open house on Valentine's Day weekend. "We had buyers lined up to buy them," Jackson said. "We just accepted the first full-price offers we received," Jackson said. "We didn't want to be greedy." Jackson said his sales activity illustrates what is happening in the Denver-area market. "The market is hot and prices just keep escalating," Jackson said. He doesn't see that changing any time soon. David Jackson builds higher-end homes, but says construction defect litigation reform is needed to bring more affordable condos to the Denver market. "As long as interest rates stay low and the economy remains strong, prices are just going to keep escalating," he said. And that's not all good. "There is nothing available at the lower end and that is not healthy," said Jackson, whose next project will be to build five towhomes with 1,600 square feet each and rooftop decks in Sloan's Lake. Units will be priced in the $400,000s. Late last week, Realtor Anthony Rael crunched "real time" numbers and found that there were 4,566 homes on the market in the six-county area. Of those, only 469 were priced below $300,000. And 2,366, or 51.8 percent of all of the homes on the market, were priced above $500,000. A total of 1,254 homes, or about 27 percent, were priced above $750,000. "I think it is staggering," said Rael, a broker with RE/MAX Alliance. He also is chairman of the Market Trends Committee for the Denver Metro Association of Realtors, although his latest statistical analysis was not part his volunteer work at DMAR. "Everywhere I go, all Realtors can talk about is the shortage of homes at the lower end and how competitive it is," Rael said. "It is just a blood bath," Rael said, with people in some cases offering as much as $50,000 above the asking price and still losing out. It is especially hard on the first-time homebuyer with enough money to make a 5 percent to 10 percent down payment, who frequently find themselves competing against all-cash offers. The market is so fierce that Rael said some buyers are even buying homes far above the appraisal price. "There is even a new phrase out there called "seller protection," Rael said. Seller protection is when the buyer agrees to pay a certain amount above the appraised price. "I don't know why the seller needs protection, when he already is selling it at a price that is at the top of the market " Rael said. In any case, six months from now, homes selling today at above the appraised value will serve as comps, he noted. "Homes selling today will be raising the bar," Rael said. However, it is not as dire as it seems, he said. "It's only really bad if you are making a lateral move," Rael said. "There is a lot of opportunity right now if you are selling a home in the $250,000 to $350,000 range and are moving into a $500,000 or $600,000 home," Rael said. The market for luxury homes in the $1 million range is extremely strong, but there is more supply and in some cases to even the ability to negotiate, for homes in the $500,000 to $750,000 price range, he said. And people who bought a few years ago are sitting on a ton of equity, he said, allowing them to buy a bigger home than they ever imagined. Last week, for example, he sold a home in Wheat Ridge for a client who had purchased the short-sale property about three year ago for $120,000. "He's going to clear about $90,000," when it closes, Rael said. 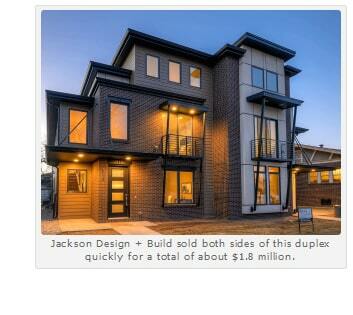 Although he builds expensive homes, Jackson said it is not good for a market to be so high-end heavy. "We are certainly at the point where there is a big part of the market that is under-served," Jacksons said. "There are just no starter homes out there," Jackson said. "That is why we are seeing so many people renting, because there is nothing out there they can afford to buy." That won't change unless the state legislature reforms the construction defect law, which makes it easy to sue developers, he said. 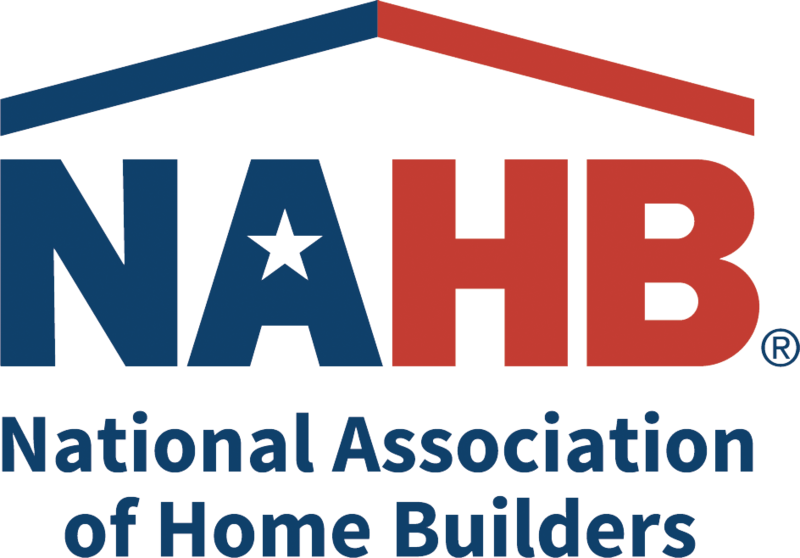 Senate Bill 177, which would have made it more difficult for HOAs to sue developers for alleged construction defects, died on Monday. That is a shame, according to Jackson. "I would love to build affordable, for-sale condos, but I can't risk losing everything in a lawsuit," Jackson said. He said there is little risk of being sued by building fee-simple townhomes, in places like Sloan's Lake and Washington Park. Jackson also builds homes from time to time in the suburbs, even though the demand is not nearly as strong for homes in the outskirts of Denver as it is in core, urban neighborhoods. Why not just build infill homes in Denver? "There's no land available," Jackson said. "It's really hard to find entitled land in Denver." And like a homebuyer, he is facing plenty of competition for dirt. Only the competition is coming from other builders, not consumers. "You have to fight for every parcel," Jackson said, which just drives up the price. That, of course, is passed on the homebuyer. "When we started construction on the Clarkson project, we saw the price for land, labor and material rise, but the retail prices for homes rose, too," Jackson said.